Today is my birthday! To be honest, I stopped looking forward to my birthday since turning twenty five few years ago. Don't get me wrong, I am not bitter but it's just not as exciting as being a teenager anxiously waiting to be in my 20s. Now, getting older simply means getting older. I did, however, want to have a very special outfit for today's post. Something that is fun and cheerful, something that is me. I love pink even when I don't typically wear a lot of it. 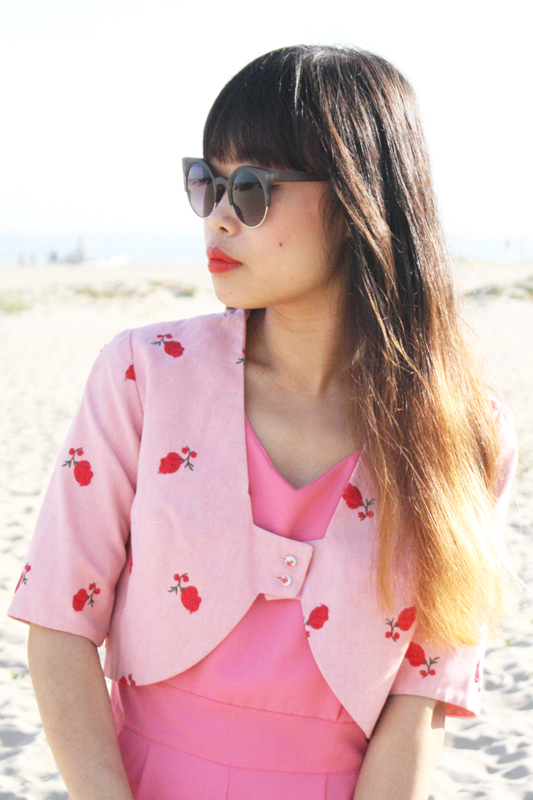 This little pink embroidered rose bolero jacket from Poetry For Jane is one of the sweetest vintage finds ever! I paired it with a romper of a different shade of pink along other pink accessories. Ok, I'm off now to enjoy a day full of birthday activities! Ciao! Vintage embroidered rose bolero jacket by Francis Reeves c/o Poetry For Jane. Pink romper from Hong Kong. Thrifted vintage pink leather clutch. Suede heeled oxfords by Promise from UrbanOG. Happy birthday!! I love how you layer pink over more pink in this lovely outfit! May all your wishes come true! Happy birthday! You look fabulous! Lovely your style, your blog and your outfits!!! So cute your blog!!! Happy belated birthday! I just love this girly pink outfit so much. 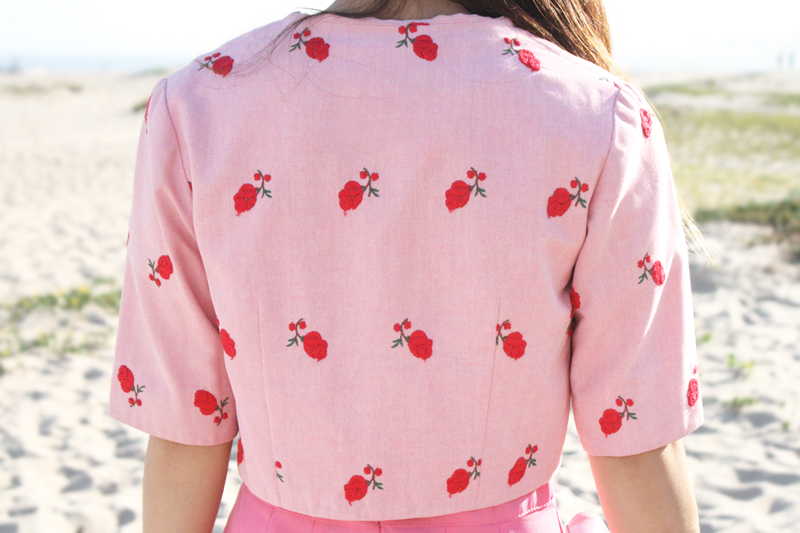 This romper is the cutest! I hope you had a great birthday! Hi. would you sell the jacket?? No sorry it's one of my favorites!